Hopkins School instrumental groups harbor many talented musicians who have reached some of the highest levels of music in New England. One such musician is Paul Stelben ’17, who plays both bassoon and piano. Stelben is a member of many instrumental groups, both at Hopkins and in the nearby areas. 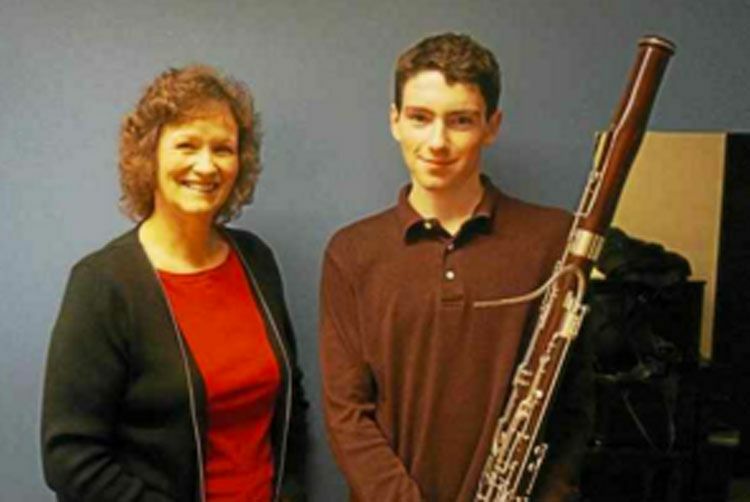 Smith said, “He’s a member of the Neighborhood Music School Wind Ensemble, and they take their top wind players and put them in a small quintet.” Stelben is also involved in the Neighborhood Music School Youth Orchestra. Stelben said, “I have played for a couple of years in a chamber group at the Neighborhood Music School, and I really have enjoyed the experience. When Mr. Smith created chamber groups at Hopkins, it was another great opportunity. It has been a very successful program to go along with orchestra.” Stelben is conducting the orchestra in one of their pieces for the spring concert. Stelben’s musical knowledge is vast. Smith said, “He can tell you about composers, he has a whole list of favorite pieces and he can tell you why. He’s the kind of student that any director would like to have in his group because he embodies what it means to be a musician at the highest level but to also be an academic students. He’s got that dual role.”This success comes from talent and a great deal of practice. “He has perfect pitch. He’s always down here practicing in the practice rooms. Probably every single free period he has been down here practicing,” said Smith.